Myself and Zoe both made it into print this week in our local paper The Galloway News. I don’t know if the picture will blow up big enough for you to be able to read it but the article with Zoe is about the latest exhibition at The McGill Duncan Gallery that she runs with her mum, keep an eye on their newly revamped website as you will soon be able to shop on line there. 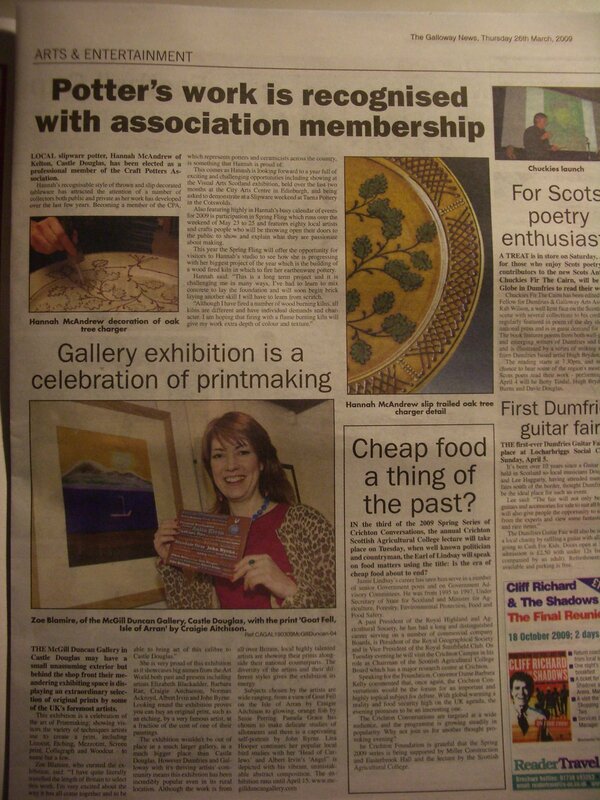 The wee piece about me is about the CPA membership, Spring Fling and my hmmm errr yes well shhh wood kiln. From the weekend another couple of pictures for you. 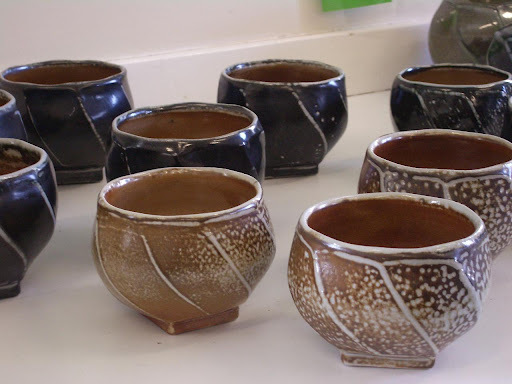 A little cluster of Fergus Stewart’s salt glazed tea bowls. 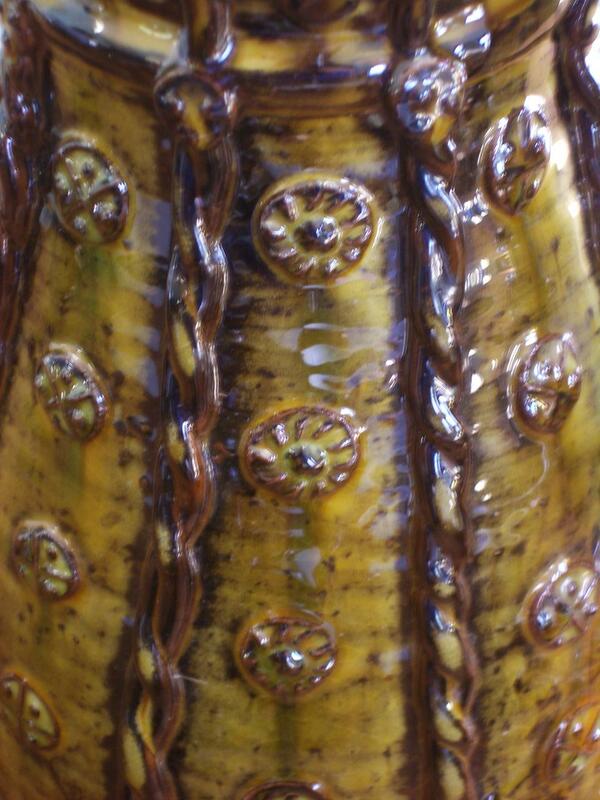 Beautifully faceted and then thrown from the insides to give them their full fat bellies. 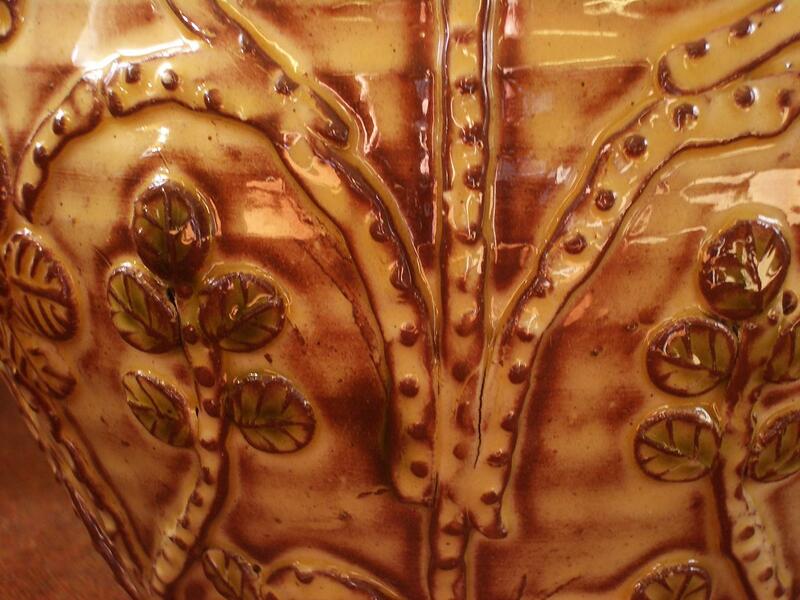 There was a marked difference between the working ways of Fergus and Doug, both throwing, both obviously excellent at what they do but far apart in their way of getting to their finished pots. Sprigs on a puzzle jug some fella from down south somewhere made this one, no idea who he was. This entry was posted in CPA, Doug Fitch, Fergus Stewart, The Galloway News, Zoe. Bookmark the permalink. how exciting for you to be in the news. It’s fun to read about your work and learn from you. Hold the front page! !Well done for your achivements & recognition.